Each brand and type of cigar tastes different. While the wrapper does not entirely determine the flavor of the cigar, darker wrappers tend to produce a sweetness, while lighter wrappers usually have a “drier” taste. Whether a cigar is mild, medium, or full bodied does not correlate with quality. 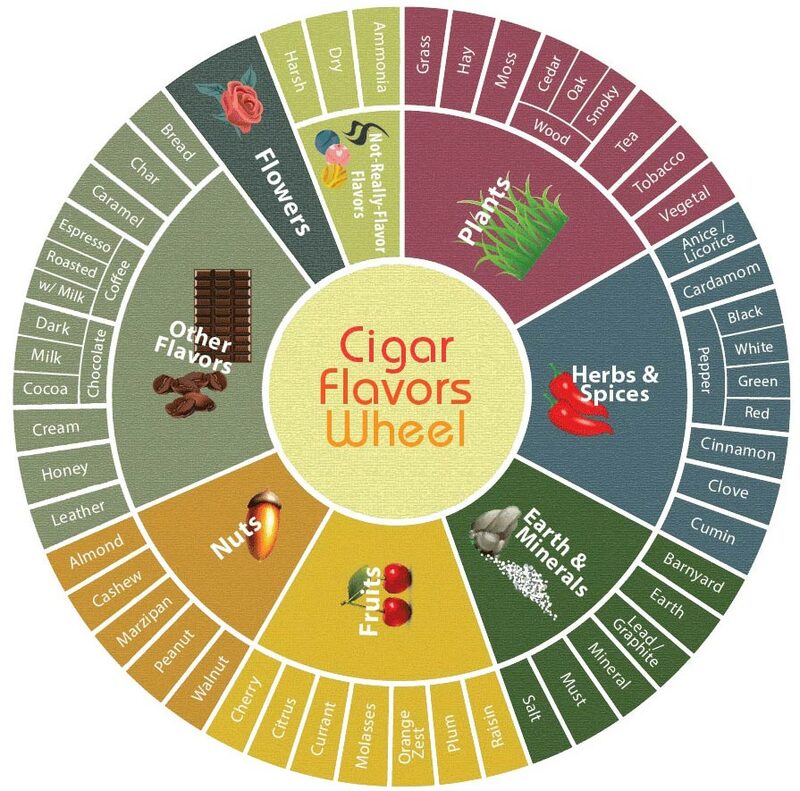 Some words used to describe cigar flavor and texture include; spicy, peppery (red or black), sweet, harsh, burnt, green, earthy, woody, cocoa, chestnut, roasted, aged, nutty, creamy, cedar, oak, chewy, fruity, and leathery.